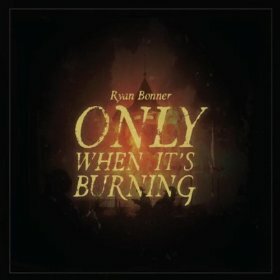 Combining country storytelling with a driving roots rock foundation, Charleston’s Ryan Bonner creates some solid modern alt country and Americana music on his latest album, “Only When It’s Burning”. 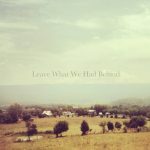 Bonner’s gritty country vocals are a perfect match for his somber tales of lives in less than perfect places and ne’er-do-wells coming face to face with their personal judgment days, both literal and implied. With a voice sometimes recalling Steve Earle’s rasp, his songs are comparable with the countried rock of bands like the Drive-by Truckers, especially ex-Trucker Jason Isbell and his solo work. There is a bit of a throwback feel to ‘80s roots rock on some tracks, like the great “Legs & Scars”; there are several songs here that would have easily fit into John Mellencamp’s canon of songs from that decade. 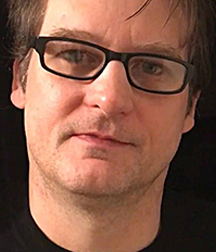 Accompanied by some veteran players like Steve Holley on drums (Wings, Elton John) and Sean O’Bryan Smith on bass (Lady Antebellum, Keith Urban), the production here is modern and refined. Some tunes are dressed up in really nice instrumentation, like the organ in “Tommy Walker”, which forces the song to eclipse its traditional country boundaries. Nicely surprising Mark Knopler-esque guitar fills, like in the rolling country of “House of Rusted Gold”, are the added touch that take the songs to the next level. 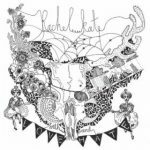 Through it all, smooth vocal harmonies fit right in and never supplant Ryan’s command of his songs. “The Rapture” is a showcase for Bonner’s great lyricism and sense of humor. “Ballad of a Madman” starts out spare and ends up bruisingly lush; pretty acoustics end up turning into powerful and big alt country by its end. Mature songwriting and lyrics with a conspiratorial wit are probably Bonner’s best weapons here, though; they invite the listener to step inside the house of tales he builds inside each song. By turns nostalgic, bleak and often subversively humorous, he entreats a lot of different emotional responses, ready to signal listeners to come along for ride in Ryan Bonner’s town. It’s definitely a journey you should make with him.